I'm pasting in three cover images: the U.S. cover (with the blue sculpture), what seems to be a U.S. alternate cover (a view over the rooftop domes of San Marco), and a U.K. cover (moon over Piazza San Marco). The official U.S. cover is very attractive, but somehow a view of Venice is much more so, and the U.S. alternate seems both more effective and ultimately more related to the story than either of the other two. Maybe that one will be revived for a paperback edition. In any case, Brunetti's 20th novel is an understated tour de force, with all the usual elements of the series (the insufferable toady Vice Questore Patta, the resourceful Signorina Elettra, Commissario Vianello, and Paola, Brunetti's wife--still preparing lunches that Brunetti doesn't get home for). The children and Paola's parents are in the background this time, as Brunetti focuses on a puzzling case that isn't officially a case at all. When a neighbor discovers the body of a woman in her apartment, neither the police nor the medical examiner find a definitive reason to classify the death as other than natural, though there is evidence that she fell or was pushed, hitting her head on a radiator. Brunetti, though, can't leave the case alone, pursuing leads down two tracks that deal with the protection of battered women and the sometimes brutal honesty of the elderly. 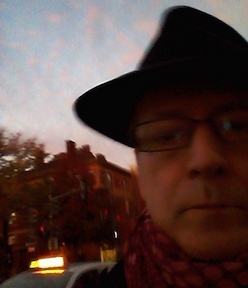 Those familiar with the Brunetti novels know that increasingly there is little on the surface that we might call action. Instead, the important events are ethical and emotional in nature—and the ethics are always ambiguous, given that Leon's overarching theme is the ethical quagmire of contemporary Italy. Plus the listing of the running characters that I gave above suggests a less sophisticated delineation of characters that is actually the case in Leon's work. For example, Brunetti here displays something close to brutality in his questioning of and attitude toward one character; and a character who appears to be a thug (and is referred to as such) turns out to be something else entirely by the end of the book. As usual, the city of Venice, in all its fading glory, is a vital element of the story. Leon doesn't so much describe the city as saturate her story with the lives still intertwined intimately with this place teetering between collapse and Disneyfication. Drawing Conclusions is perhaps quiter and even more melancholy than some of the other Brunetti novels, but is as well written, as involving, and as powerful as the best of the series. 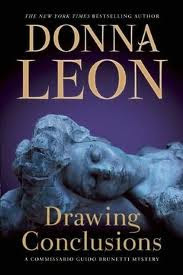 I am a Donna Leon fan, and have read all of her books except for this one. I particularly like Paola Brunetti and Signorina Elettra, but enjoy Guido Brunetti's thinking and his friendship with Vianello. This review whets my appetite for the new book, but it may take awhile to appear in the library, so it may cause me to overstress my budget and buy it,. I am also a Donna Leon fan. One of the things I most enjoy about the books are the descriptions of food! I also think Ms Leon portrays younger people very realistically - something which I think must be hard to do.